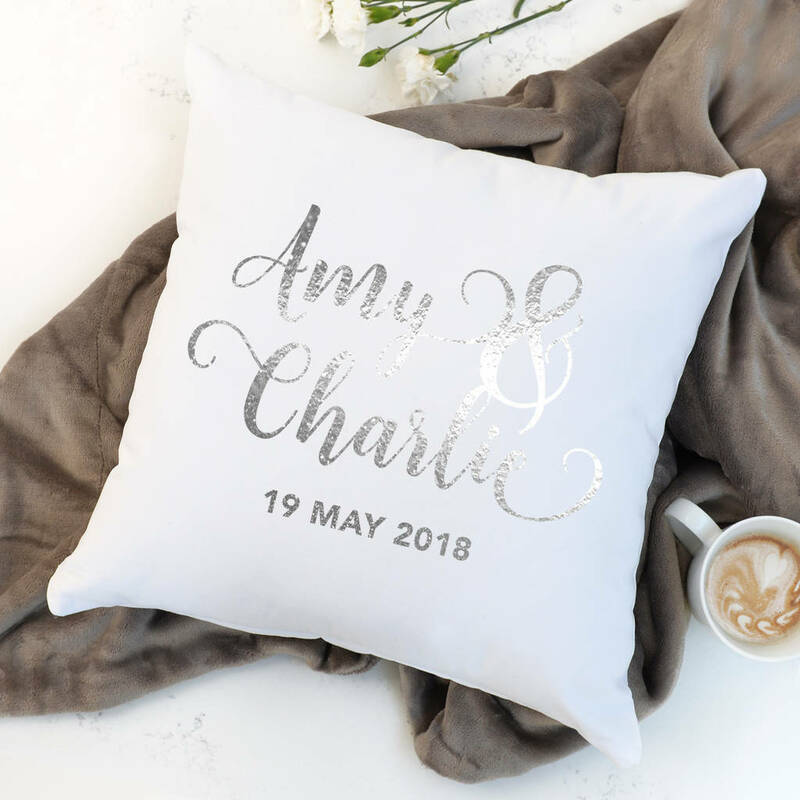 A lovely, unique cotton cushion to celebrate your love together, or as a perfect wedding gift for the happy couple on their big day. It would also make the perfect Valentine's Day or wedding anniversary gift. The gift to give for a 2nd anniversary is cotton! It would also make a lovey 25th wedding anniversary gift - the Silver wedding anniversary - to tie in with the lovely metallic silver text. Add your names, for example "Amy & Charlie" (in the order you wish them to appear) and a special date underneath this, for example "19 May 2018". The cotton cushion cover is removable via a zip. Please hand wash only. The cushion is white cotton. The text is metallic silver. The design is on one side only. This high quality cushion is made from cotton. Supplied with a luxury cushion inner - super soft non-allergenic pure hollow fibre.